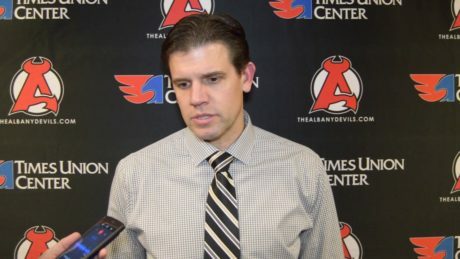 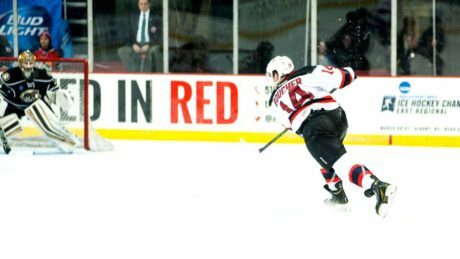 Nearly a week has passed since the Devils’ last game, which was a 4-0 road loss against Hershey Saturday. 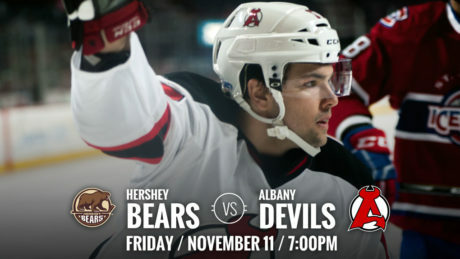 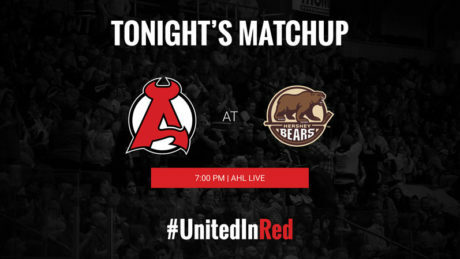 Now the Devils return to Times Union Center Friday for a 7 pm outing against the Bears. 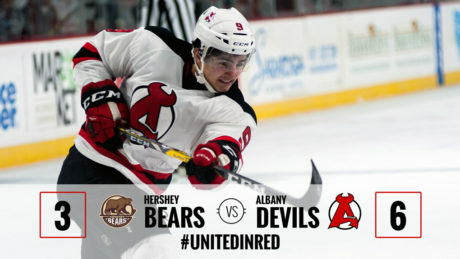 The Bears scored three goals during a three minutes and six second span on their way to a 4-0 victory against the Devils Saturday at Giant Center. 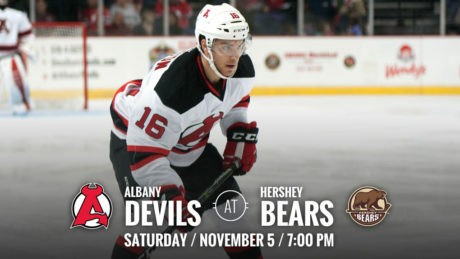 The Devils travel to face the Bears Saturday at 7 pm at Giant Center. 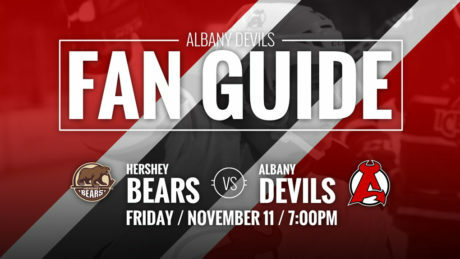 The Devils could secure their spot in the 2016 Calder Cup Playoffs Saturday when they face the Hershey Bears at Giant Center (7 pm). 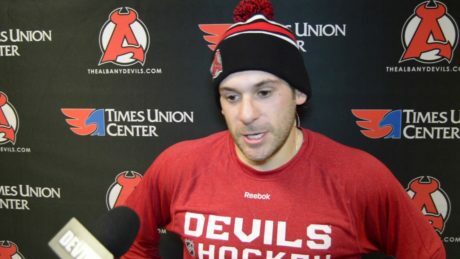 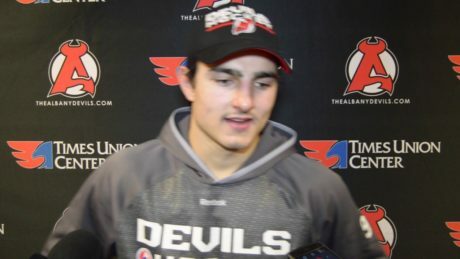 Fresh from the NHL, Reid Boucher delivered a major-league shot to give the Devils a 3-2 overtime victory against the Bears Wednesday at Times Union Center.